Christmas Light Trade-In At Home Depot! You are here: Home / Great Deals / Christmas Deals / Christmas Light Trade-In At Home Depot! 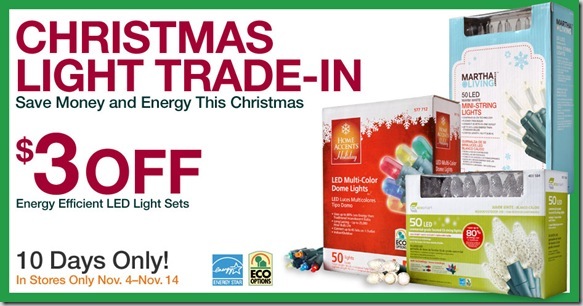 Home Depot to recycle them, and get $3 off your in-store purchase of LED Christmas lights! This offer is good for 10 Days Only – November 4th thru November 14th. So, someone needs to get up in the attic and pull those Christmas decorations out and test those lights!